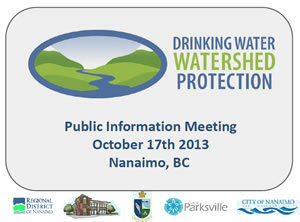 The Regional District of Nanaimo’s (RDN) Drinking Water and Watershed Protection (DWWP) staff delivered four public information sessions across the RDN in October 2013.
a survey questionnaire at the end of the session. In total, 112 residents participated in the Public Information Sessions. Several comments and questions were received on the poster session flip-charts and approximately 40% of all attendees submitted completed surveys forms. Were you aware of the DWWP program prior to this session? Are you generally happy with the service this program provides? Did you enjoy this session? Was there anything that you were hoping to hear that was not covered today? Are there any other initiatives you would like to see as part of the DWWP program that were not mentioned today? 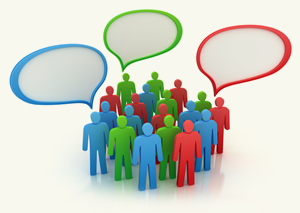 Additional contributions or comments specifically on any of the 3 segments covered? We would like to thank all those who participated in the October 2013 public information sessions. If you have any comments or questions please contact us at 250-390-6560 or email waterprotection@rdn.bc.ca, or fill in our online form. 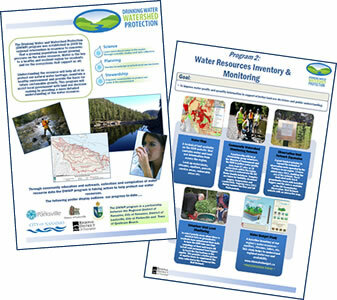 Receiving public feedback is an essential component of the RDN's Drinking Water and Watershed Protection (DWWP) program.